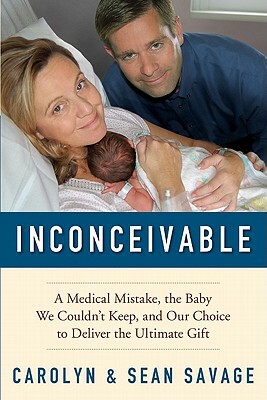 Carolyn And Sean Savage's story was covered widely when they gave birth to the baby boy in September 2009, including in People magazine and on The Today Show. In this book they are telling the entire story for the very first time. Sean and Carolyn live in Ohio with their two teenage sons and two-year-old daughter. — Dr. Laura Schlessinger, SiriusXM talk host, author of 12 New York Times bestsellers including The Proper Care and Feeding of Husbands.